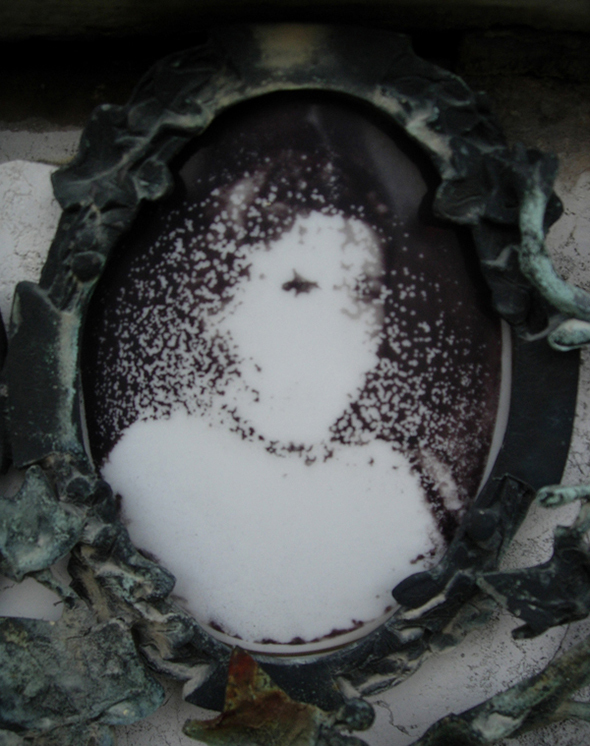 Matter of Memory is created from recordings I made in Venice on the island of San Michele, which has been the city’s cemetery since the early 1800s. When I went there in late December 2006 I discovered that many of the relatives of the deceased had left small cards on the graves, cards with a microchip that continuously played Jingle Bells. But since these cards had probably been placed there some days ago, and because of the cold winter air the batteries on the microchips were now running low. This caused them to distort the sounds, to play a rather disharmonious range of tones and not the melody they were supposed to play. At times they were even lapsing into a kind of noise loop. The cheerful, positive Jingle Bells now sounded rather feeble and helpless. I just couldn’t help hearing these songs like a kitsch metaphor for a fading life. 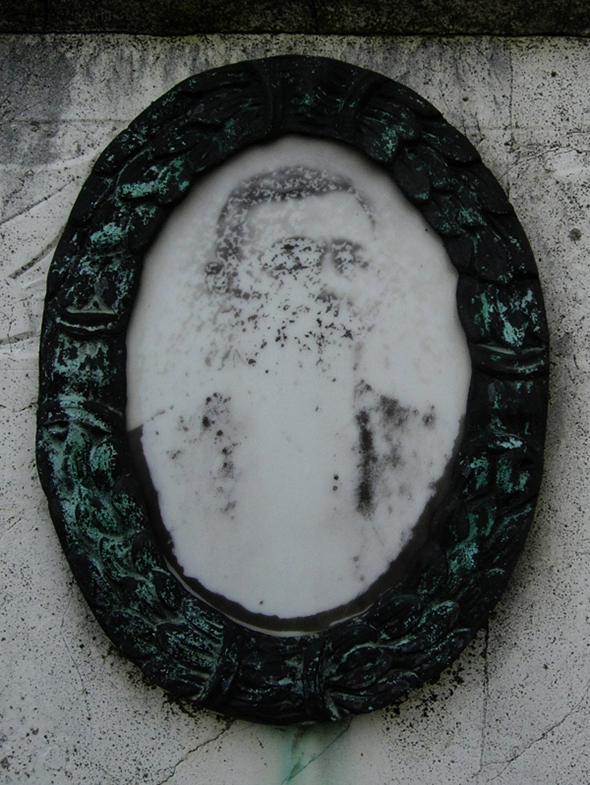 Something else I noticed was the tradition of including pictures of the deceased on their graves. 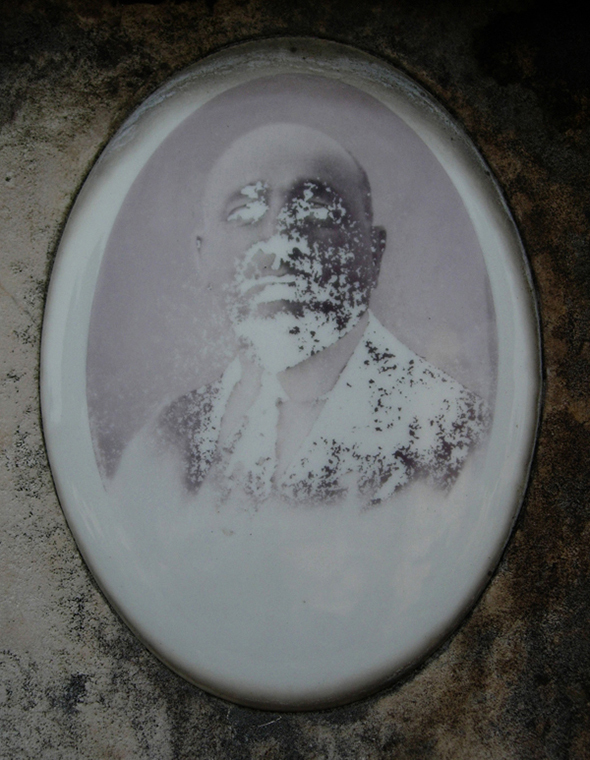 The older permanent graves were decorated with marble portraits of people who had died a very long time ago. 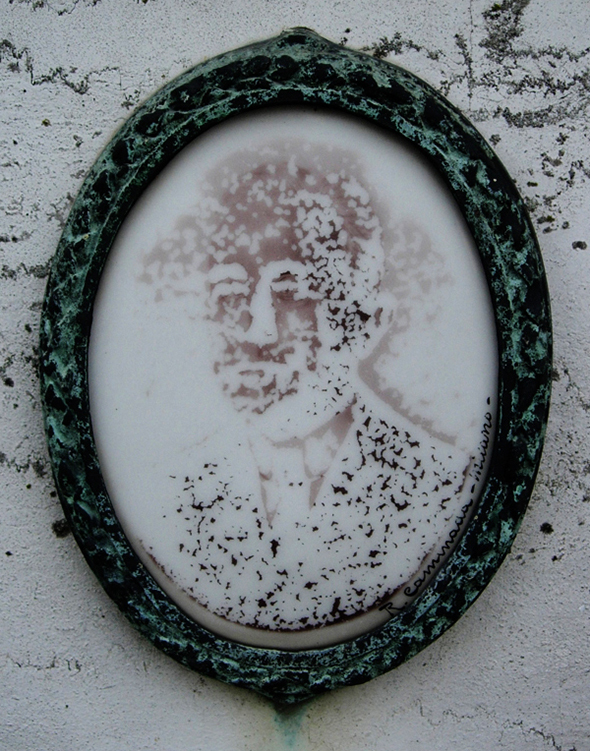 These portraits had aged over the years and were now fading and disappearing. The features of their faces had become blurry and their very image had almost been erased. 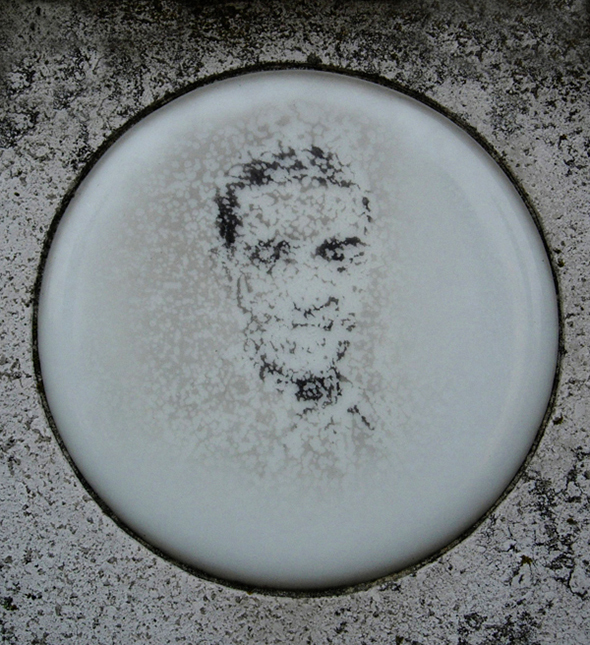 This made me try to remember how my grandfather, who died years ago, had looked. And it struck me that I could hardly remember his face anymore. My memory of his appearance had been worn away with time. 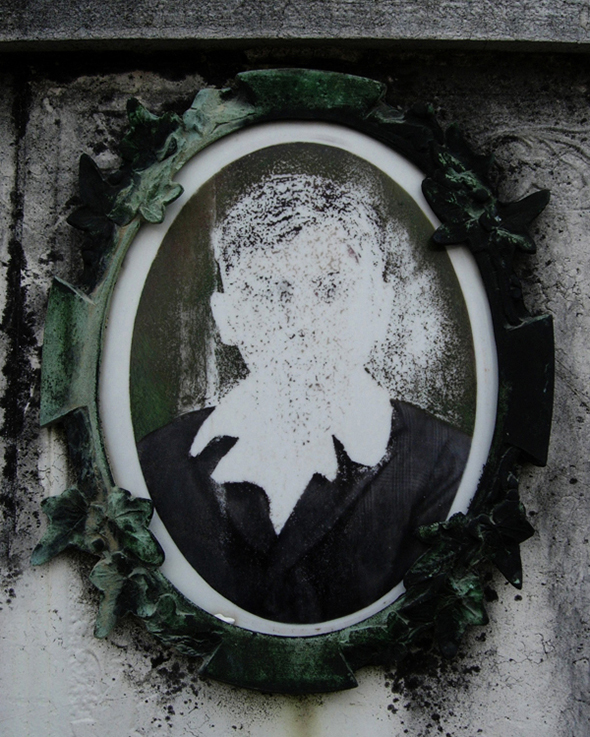 The disappearing portraits at these old gravestones were to me a physical manifestation of my own fading memory. 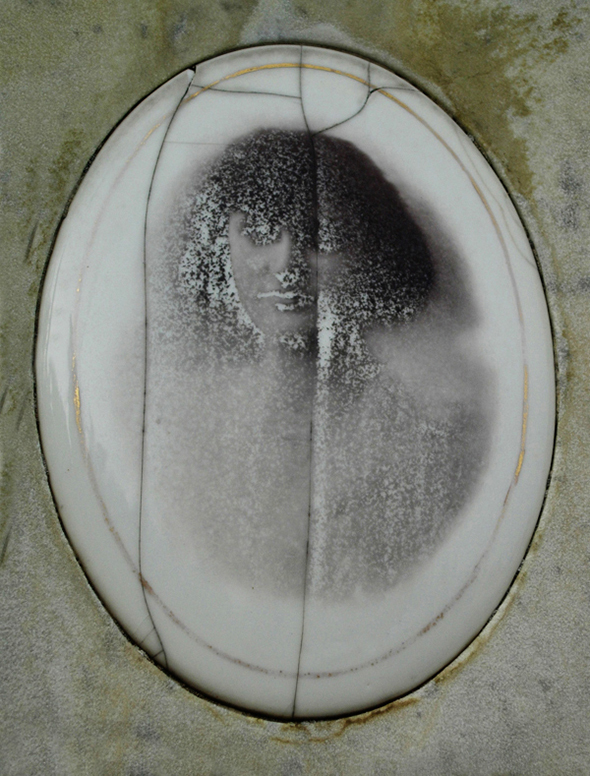 The photos I shot of these marble portraits became part of the installation piece in Berlin. The curator and I chose nine of the photos and had them directly printed on aluminum. 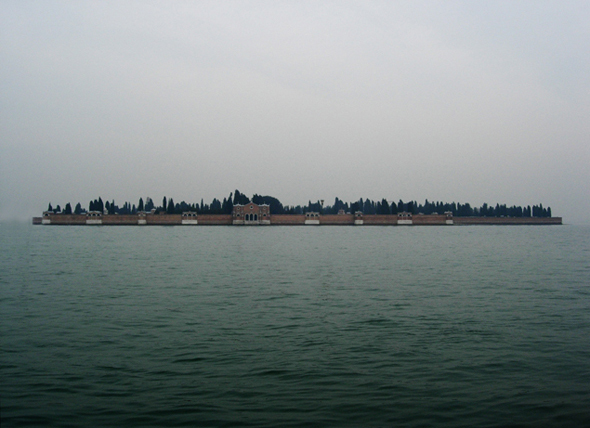 A large wooden box, with a large photo of the island from the surrounding lagoon on its side, contained speakers which played the recordings, in which other sounds on the island, like birdsong and water ambience was mixed with the fading Jingle Bells lament. My contribution to fading memory.